You generally associate the words 'Volkswagen Polo' with the impression of a hot hatch  be it the razor-sharp styling, or the bright red colour, or the presence of variants like the 1.6, the GT TSI or the GT TDI since the car was launched back in 2010. However, the most popular 1.2 TDI variant never really gave you the feel-good factor of owning a Polo. It never had the shove to match the sporty styling, nor did it have the equipment to match its price tag. Though late, the scenario has now changed, thanks to the new Polo 1.5 TDI. For starters, it has got a new face. The styling is even shaper now with angrier looking double-barrel headlights and a new front bumper. On the inside is a revised design that dons a new three-spoke steering wheel and a new audio system with Bluetooth telephony. The big change is under the hood though. The burbly, three-cylinder 1.2-litre diesel motor has been replaced with a 1.5-litre mill. Based on the 1.6-litre TDI engine from the Vento and the outgoing Polo GT TDI, this new derivative uses a smaller bore. The resultant engine not only pips the older 1.2-litre engine with better acoustics and larger displacement, but also benefits from better power and torque figures. Compared to the 1.2-litre's 75PS / 180Nm output, the new Polo 1.5 TDI puts out 90PS and 230Nm  that is more torque than the Honda City diesel! In the Indian scheme of things, that output can easily award the Polo 1.5 TDI with hot-hatch credentials. In our tests this package was good to launch the Polo 1.5 TDI from naught to 100kmph in 13.6 seconds  which is 3 seconds faster than what we managed with the Polo 1.2 TDI. The latter managed a top speed of 166kmph, while the new 1.5 could reach 176kmph. 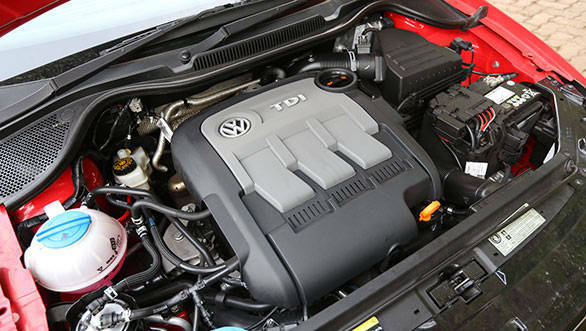 The engine being heavier, contributes to the Polo 1.5 TDI Highline+ being heavier by 13kg over the Polo 1.2 Highline. Despite the additional weight, the torque advantage helped the Polo 1.5 TDI return a fuel economy of 19kmpl, compared to the 1.2's 17kmpl. It is essential to note that our day of test had relatively lesser traffic. On the contrary, the ARAI's test cycle reveals that the Polo 1.5 TDI isn't as efficient as the Polo 1.2 TDI. The Polo 1.5 TDI has a slightly lower ground clearance as well  165mm versus the 1.2 TDI's 168mm. Neither is best in class, but throughout our test, the car did not scrape its underbody. The suspension setup is new too and the thudding sound that one was likely to often experience in the Polo 1.2 has been ironed out in the 1.5. The new suspension setup offers a more supple ride and still manages to return a good feedback around bends. The grip from the new Apollo tyres is better than the outgoing model and hopefully these will be more reliable too  but more on that in our long term test. 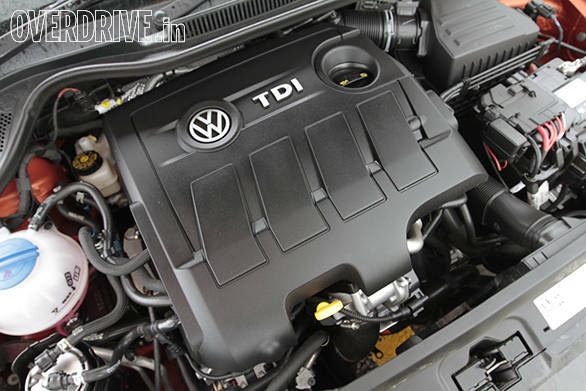 Overall, the Polo 1.5 TDI is a big improvement over the 1.2 TDI  both in terms of performance as well as equipment. Service costs have always been a grey area for Volkswagen, so if you are willing to shell out the extra bucks, then the new Polo 1.5 TDI seems well worth the money.